The work of RVBC began in early 1961 when two families that had recently moved from the south held fellowship meetings in their homes. Soon others joined the group, and Sunday morning worship services began at a New Brunswick hotel. The name New Brunswick Baptist Chapel was chosen. In July, 1961, the chapel became a mission of the Madison Baptist Church. A few months later, the chapel obtained the use of a music conservatory, which permitted both Sunday morning and Sunday evening services, as well as Wednesday evening prayer services to be held. Late in 1961, they moved to the Washington Park School in Edison, New Jersey, just north of New Brunswick. On March 10, 1963, the second anniversary of its inception, the group was officially constituted as the Raritan Valley Baptist Church. They continued meeting in the school until October 2, 1966, when they moved into their new building at 592 Old Post Road, Edison, New Jersey. During this time a parsonage was purchased about one mile from the church. For the first few months, laymen, ministerial students, and army chaplains from Fort Monmouth preached on Sundays. In October 1961, Dr. John Killinger came from Georgetown Baptist College in Kentucky to Princeton Theological Seminary to do additional study and became our first pastor, although on a part-time basis. He continued until June 1963. On November 1, 1963 Rev. 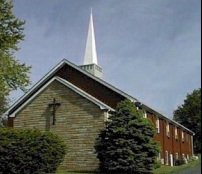 Walter C. Heilig came from Amherst Baptist Church of Tonawanda, New York to become the first full time pastor. Rev. Heilig served the church until September 1972 when he answered a call to a church in Stony Creek, Virginia. Mr. Bob Brooks served as interim pastor from October 1972 until June 1973. On June 1, 1973 Rev. Donald McIntyre from Clinchfield Baptist Church of Marion, North Carolina became the second full-time pastor. In December 1974, he answered a call to another pastorate in North Carolina. Rev. Kenneth Lyle, a member of the Metropolitan New York Baptist Association staff, assumed the position of interim pastor on a part-time basis until May 1975. On May 8, 1975, Rev. David Platt came from Louisville, Kentucky to be the third full-time pastor. On August 16, 1982, he left to become a minister at the Baptist Temple in Houston, Texas. From August 1982 until the fall of 1983 numerous laymen, ministerial students, faculty from Northeastern Bible College, and army chaplains filled the pulpit on Sundays. In October 1983, the church called Rev. Keith L. Cogburn, a student at Princeton Theological Seminary and formerly pastor in Purmela, Texas, to be interim pastor. In February, he accepted the call to be the fourth full-time pastor to be effective June 1, 1984. Continuing his studies part-time, he earned his masters in 1987 and his doctorate in 1991. On August 17, 1997, Dr. Cogburn resigned to become Director of Missions for the Lakeland Baptist Association in Milwaukee, Wisconsin as an appointee of the North American Mission Board. In October 1997, Kentucky native and Princeton Seminary graduate, Rev. Scott A. Erwin became interim pastor, and in May 1998 became full-time pastor. On October 17, 2001 he resigned to become pastor of Hulls Memorial Baptist Church in Fredericksburg, Virginia. In March of 2004, yet another former intern from Princeton Theological Seminary answered God’s call to serve as pastor of Raritan Valley Baptist Church. Rev. Cory P. Hall began serving as interim pastor in June of 2002 and then officially became the church’s sixth pastor during the Spring of 2004. Pastor Cory and Amanda Hall, having felt led of God to pursue a new and different kind of ministry in the Baltimore area, left RVBC in January of 2006. An old but very familiar face returned to Central NJ to assume the lead pastor position at RVBC. Rev. Michael Chance had been on the Metro New York Baptist Association staff for 17 years, and after a brief 2 year "hiatus" in Louisiana, along with a 3 month missionary leadership position with Graffiti Church in Manhattan, he and his wife Linda, began serving at RVBC in February of 2006. Pastor Chance completed a fulfilling 7 and a half year commitment to RVBC as her pastor on October 13, 2013. These were exciting years for RVBC as the church continued to transition as an English speaking, inter-ethnic congregation serving Central New Jersey. On December 15, 2014, Rev. Nicholas Johnson assumed the pastorate of RVBC. Pastor Johnson looks forward to an amazing journey with RVBC as we continue to witness about Christ and live into Christ's likeness through love, service, and concern for all people.